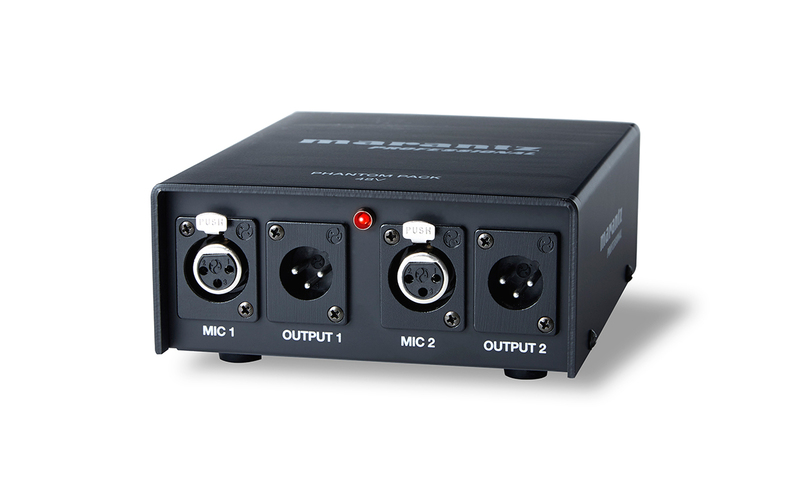 Designed for professional recording, the Marantz Phantom Pack provides two independent channels of 48VDC phantom power. Its sophisticated circuitry delivers an extremely low-noise output, with virtually no intrusive power supply “ripple,” ensuring that your recordings are crystal clean and true-to-life. With a rugged metal housing, compact dimensions and light weight (only about three pounds), the Phantom Pack is both perfect for the studio and compact and convenient for the road.